Have you ever noticed how dull and lifeless plain concrete can look? While we expect roads to be constructed using asphalt, decorative resurfacing on footpaths, driveways, islands and paved landscaped areas can really bring an area to life. 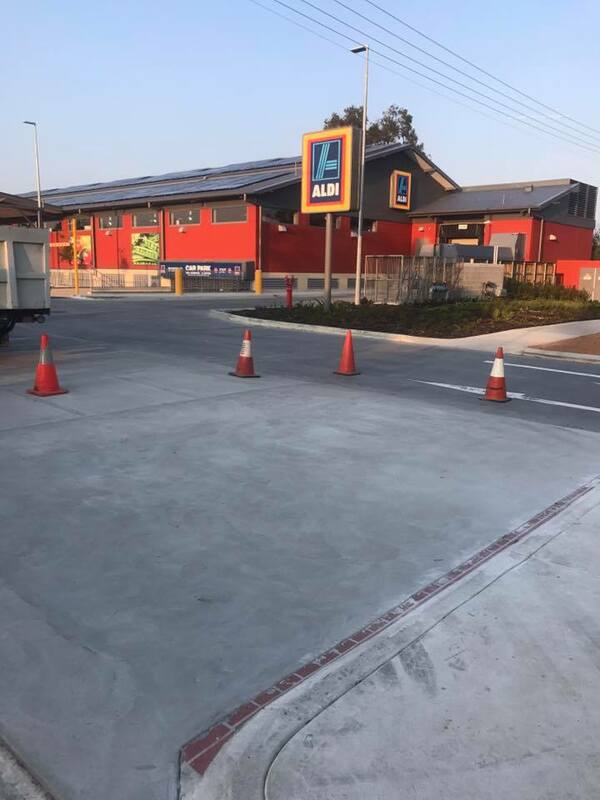 This is something we noticed when we completed our recent commercial resurfacing project in the Shire of Mundaring. 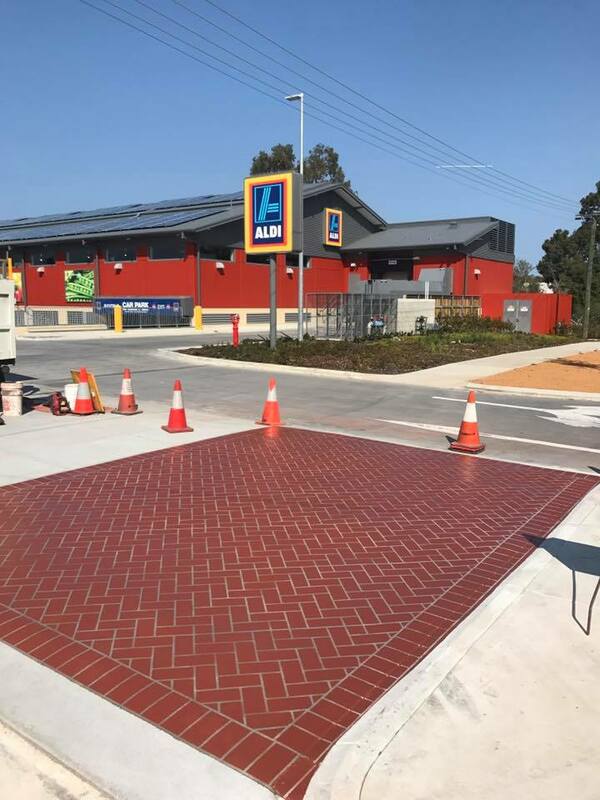 Mundaring is located 34 kilometres east of Perth on the Great Eastern Highway, and as you can see in the picture below, their concrete surfacing was looking a little tired. 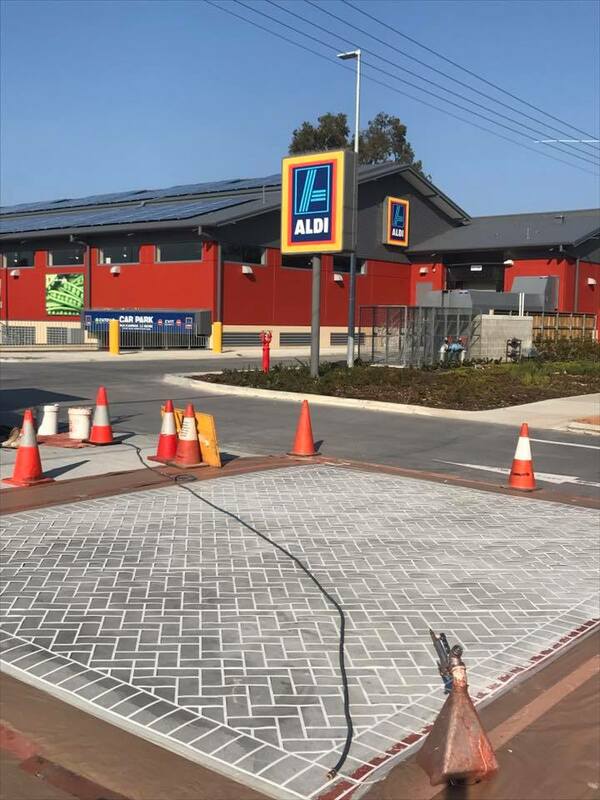 Sitting opposite the Aldi supermarket, Wespray on Paving was approached to resurface the truck rollover island. To brighten up the area, we used a faux pave herringbone pattern with a matching header. Because the truck rollover island needs to be able to sustain heavy weights, the Over-Crete resurfacing system we used has a compressive strength of over 50Mpa. This increases the surface’s load bearing capability, making it possible for heavy vehicles like trucks to drive over it. For the finishing touches, and to ensure longevity, we also added a UV stable hardwearing sealer. This is something we include as a standard feature on all of our projects. If you have a commercial resurfacing project that you completed, contact the team at Wespray on Paving today!